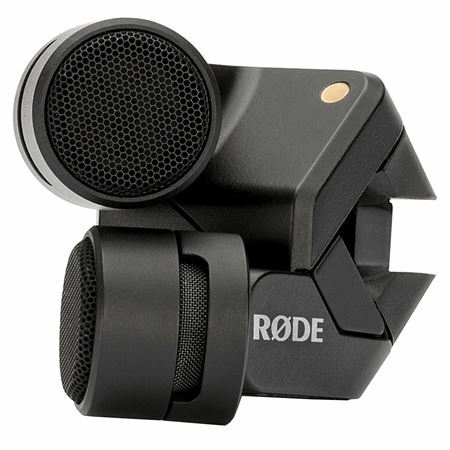 Shop Rode iXY Recording Microphone for iPhone/iPad from AMS with 0% Interest Payment Plans and Free Shipping. The Rode iXY Recording Microphone for iPhone/iPad provides up to 24-bit/96k recording, making it the only choice for those serious about recording with their iPhone or iPad! Incredible rich, smooth and accurate recordings are possible thanks to the iXY’s sampling rate and high fidelity A/D conversion. A matched pair of 1/2 inch cardioid condenser capsules, fixed in a perfect 90 degree alignment gives the Rode iXY mic immersive and true-to-life stereo recordings. 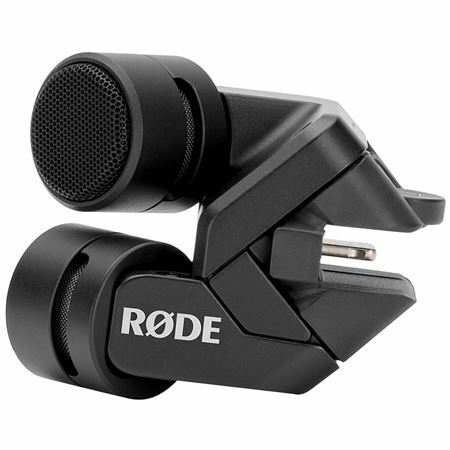 An adjustable input level via the Rode Rec app gives the Rode iXY the ability to perfectly record in any loud or quiet environment. From meetings and interviews to rock concerts, the iXY microphone has you covered! Rode iXY is the perfect mic for capturing music, from local cafe gigs, to large stadium shows or even recording your band rehearsal and songwriting sessions. Its true XY stereo pattern lets you record exactly what you hear, and the adjustable input level makes sure you can record even the loudest concert with total clarity. Capture immersive, high-resolution stereo audio with the iXY mic mounted on your camera. 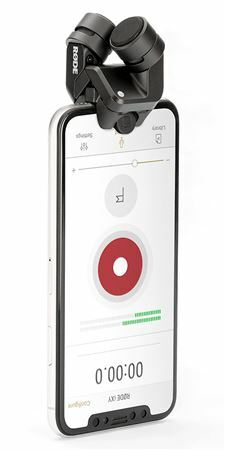 Monitor in real-time, or connect the headphone output of your iPhone directly into your camera for high quality scratch audio to sync in post. Easily record lectures, business meetings or any dialogue at the touch of a button. Rode iXY works with any audio app, however the Rode Rec app provides presets to maximize dialogue intelligibility giving you fantastic results in almost any environment. With the iXY iPhone/iPad mic you'll never have to let a recording opportunity pass by. Conveniently capture high-resolution sound effects wherever you go. The iXY is the perfect recording solution for field reporters, giving you broadcast-quality audio at a moment's notice. Use Rode Rec to edit your recordings on the spot and upload to SoundCloud and Dropbox.